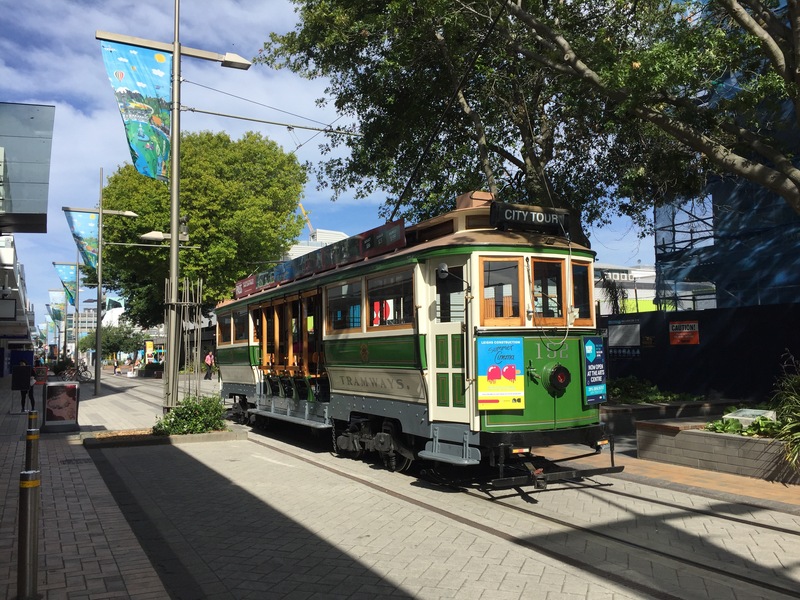 We nearly missed our flight from Sydney to Christchurch – not because we were late but because for some reason we’ll never know, the online agency that we booked our tickets through, had entered our names the other way around on the ticket! Surname: Helle, firstname: Larsen etc. And Mai’s lastname was reported as Helle Maria! Long story short; it took us 2 hours, 30 min of phone calls to Virgin Australia’s “helpdesk”, 1 very bitter airline personel and 1 extremely helful one who made sure we didn’t have to pay the $436 fees, until we had our boarding passes in our hands! The flight to Christchurch was fine and because of the extra two hours time difference, we arrived very late at our motel. 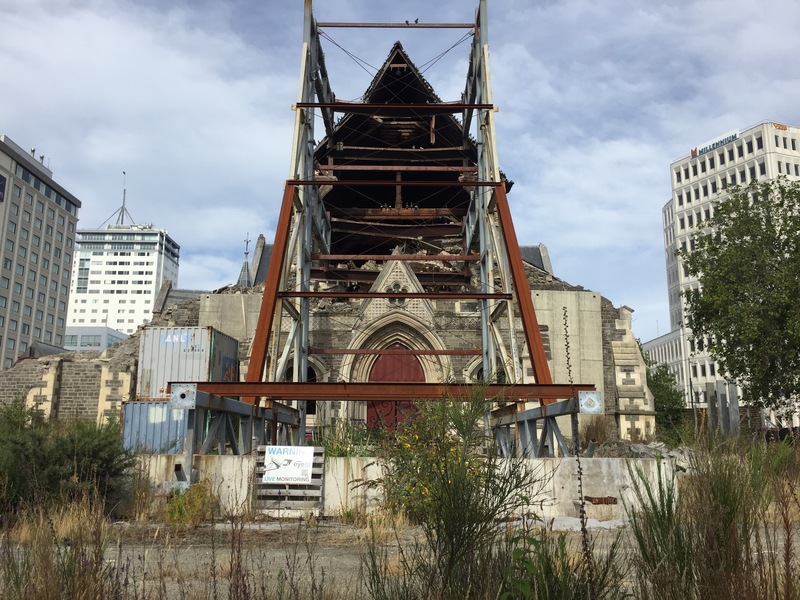 The following day we spent sleeping in and exploring Christchurch. There isn’ really much to see, sadly the earthquakes that shook the city in 2011 destroyed so much and many major old landmarks, and the town has been very slow in getting back on its feet and in restoring. The town felt empty some places, either with major empty squares and car parks, or abandoned ruined houses. There were also some cool areas around with a very urban vibe; cool cafes and a shopping area and street food stalls built using old containers. 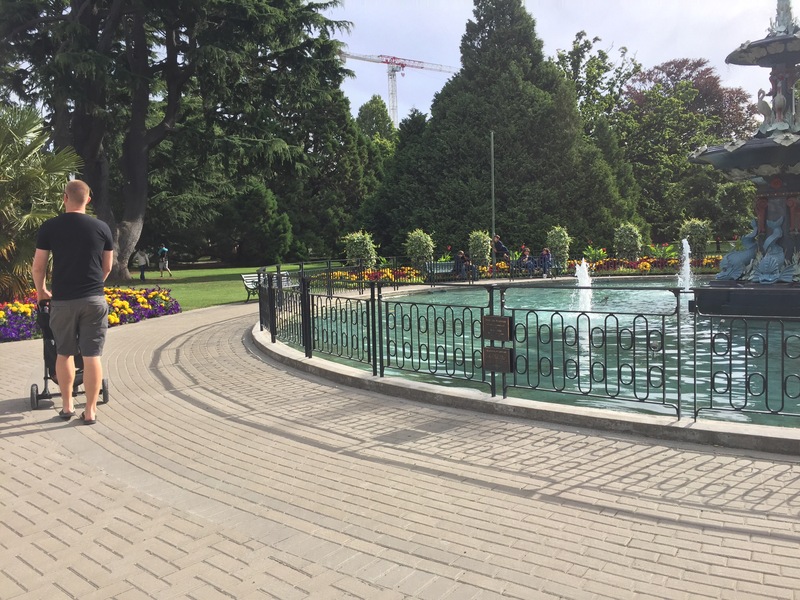 The botanical garden is very well kept and we went for a nice stroll there. 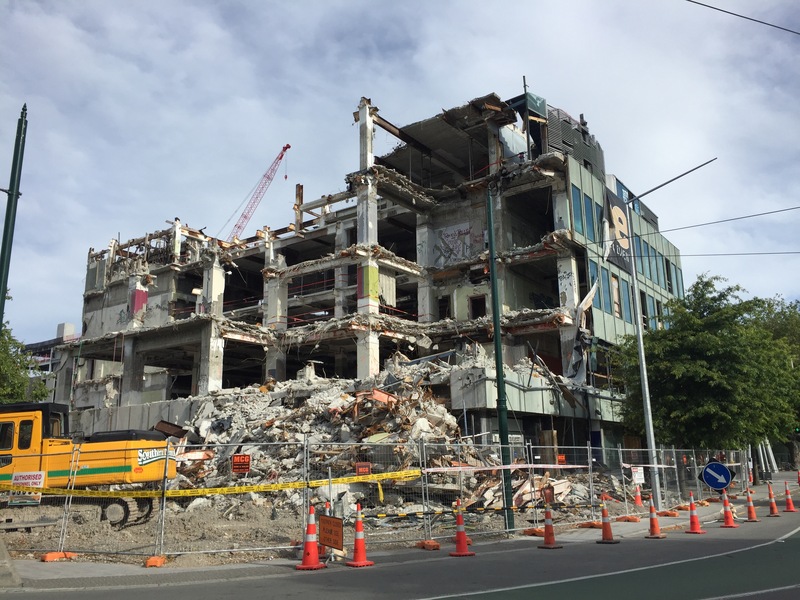 We also visited Quake City, which is a museum that tells about the 2011 earthquakes and quakes in New Zealand in general. Very interesting. 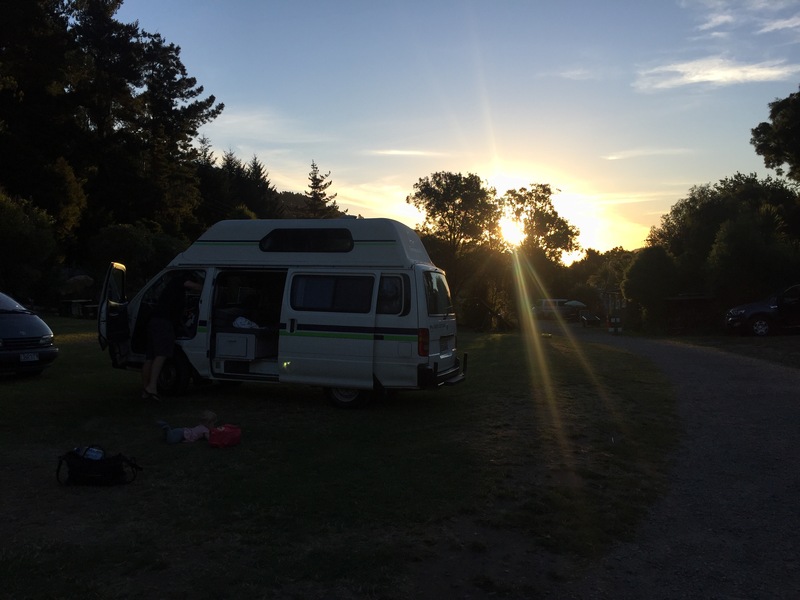 On Saturday we picked up our campervan at Tui Campers and thus started our camping adventure around NZ! The van is pretty cool, but old and a lot smaller than we expected. 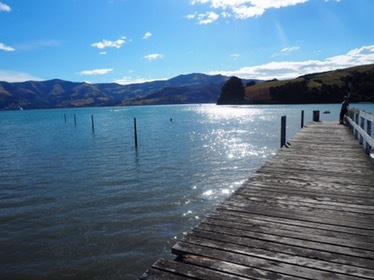 Our first stop was Akaroa on the Banks Peninsula. The drive there was absolutely georgeous and a good way to start our journey. Akaroa was a cute little french-inspired town right by the water. We had a nice fish’n’chips dinner there and then tried to find a camp site for the night. But since we don’t have a toilet, we are not what they call “self-contained”, so we are not allowed to stay on the freedom campsites. 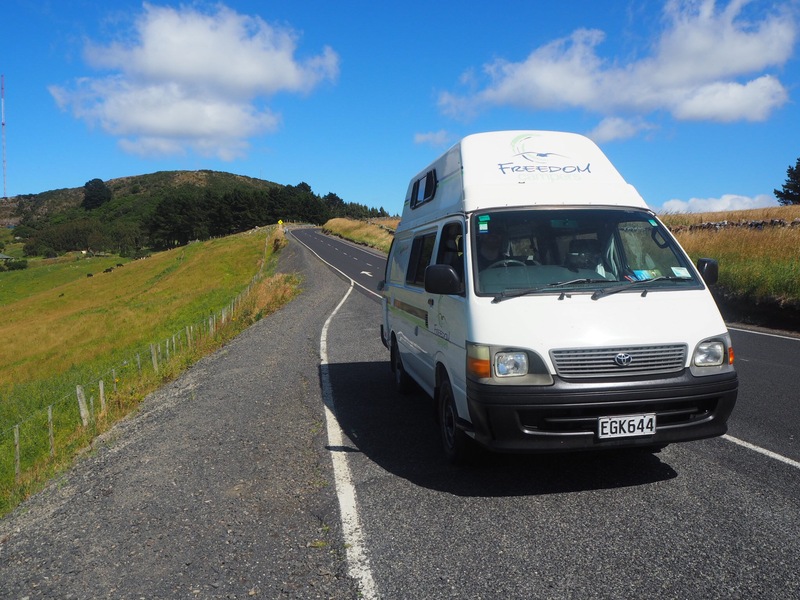 And since it was a holiday weekend, the two campsites close to town was fully booked, so we ended up having to drive a little bit back towards Christchurch before finding a campsite.